Fit good, size was same as ordered, very satisfied with this outfit. Little pricey but worth every penny to me. My grand daughters wore these to dance in...and they were adorable. 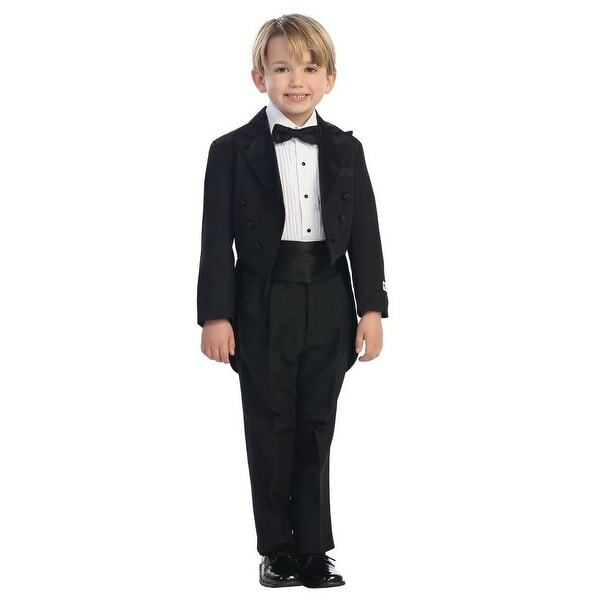 With this suit from Tip Top Kids your precious boy can master the tuxedo style. This peak collar tailed tuxedo set is the perfect choice for his special event. Round Split Tail Jacket, Shirt, Bow Tie, Cummerbund, and Pants Included. It comes in black color for a look that is both polished and distinctive. Suitable for little boys.